Home › Snapchat Today › Snapchat Yellow Star Best Friend Emoji – What Does It Mean? Snapchat Yellow Star Best Friend Emoji – What Does It Mean? We sent a few private snaps to each other using the speed filter. I sent her one using the new Snapchat selfie filters. Maybe this has something to do with the yellow or gold heart? Please feel free to make your predictions below. The Snapchat support tab on the app does not say anything about the Yellow Star best friend emoji. It’s when you send a snap to yourself and replay your own snap, then you will have a star next to your name and everyone who is your friend can see the star even if you have never snapped them b4. I was in the same boat this morning! Like whyy does this person have a star and I also lost my Heart haha! But I figured out how to get the star. 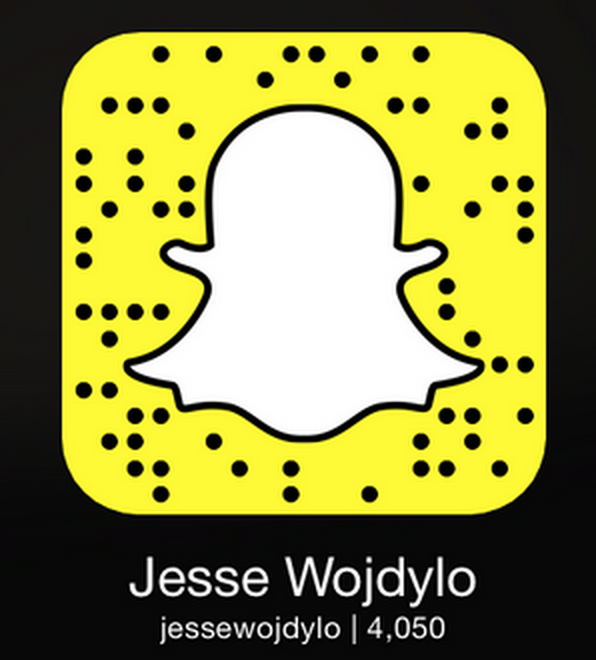 Just send a Snap to yourself, and then hit replay! Simple you will now have a star to everyone! I think it means when they have sent the same snapchat to you and one or more other people. the yellow heart means you are each orher #1 snap best friends, the red heart mean you have been each others #1 snapchat best friends for 2 weeks, the pink heart means you have been snap beat friends for 2 months. All of your theories are incorrect. 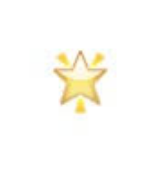 I’ve tested it out and found out the meaning, the gold star appears when someone has replayed that users snapchat. For example if Mary sends Bob a snapchat. Then Bob replays that snapchat. Mary now has the gold star beside her name, which is now visible to everyone that has her added as a friend. Try it out and let me know! It means that they’ve either replayed one of your snaps, or they’ve replayed your story. Um.. yes it does. User A said that once Bob replayed Mary’s snapchat, Mary’s name had a gold star next to it, visible to all her friends, regardless of how long it had been since she last snapchatted them. If you have a star with people you’re out of touch with, all that means is that someone on your friends list replayed a snap you sent, and everyone on your list can see that. That isn’t it because the gold star is popping up with people that Ive either barely snapped or never snapped. But it is also popping up with people that I am best friends with. It’s when u send yourself a snap and replay it and then everyone that has u on snapchat will then have a star next to ur name! Just to through something in the works here, it’s not replay… Someone whom I haven’t snapped in over a week has a star next to their name suddenly, as well as someone who has been snapchatting me today (i haven’t replied to them) has just collected a gold star next to their name. Well the story thing above is not true, because I have a star on two of my friends and I haven’t had a story for weeks! I tried it now With my friends. And I sent a snap to myself and then replayed it and now there’s a star by my name on my friends snapchats. Don’t know if that’s What it means but you can try it and tell if it worked. I think that it could mean that you have sent a surrender amount of smapchats to each other, this is because if you look at the trophie case their could be one that said how many snaps you have sent and that start is one of them. I’m pretty sure none of us really know so why not stop guessing? I think it’s when you’ve watched someone’s snapchat story more then once. If you watch your own Snap Chat Story you get the gold heart. Me and my girlfriend just tested this out. When I replayed a snapchat she sent me, she got a gold star next to her name in MY list, when she then replayed a snap I sent her I got a gold star in HER list. So I guess all it tells you is that you replayed one of their snaps that day? Unless it does something else as well. My friend has blocked my sister from seeing her story, but still has a star next to my sisters name? So it can’t be because they replayed a snapchat? And they don’t talk much so wouldn’t of been able to replay a snap? I know it doesn’t mean you haven’t snapchatted them recently because I have one next to someone with a streak. i went through my friend list and there are stars next to people’s name i don’t even know. even team snapchat. does this mean that they rewatched my snaps. The gold star next to someone’s snapchat does not mean they replayed anything. This means that they sent you a snap that they also sent other friends of theirs. It’s to let you know that you aren’t the only one to receive the snap. You guys think it’s because you replayed a snap because you’re sending that snap to more than just one person. Come on. Why would you get a star for replaying your snap? That’s completely bonkers people. I have a friend on Snapchat who has a star, but we haven’t snapped in months. i’ve tested this. the star means that you have sent the same snap to multiple people. for example. if i sent you a snapchat that i had sent to multiple other people, then there will be a star by my name. it cannot be a “replayed” thing. why would it be by team snapchats name? and people say they saw it by my name when i’ve NEVER replayed a snap. I just tried it, you have a star next to your name when you replay a snap that you sent to yourself, idk why people do that, but thats where the star is from. Then anyone who is your friend on snapchat can see the star even if you have never snapped them b4. I just wanted to say that u are all wrong and I’m getting really pissed reading all these replies especially people that don’t know AT ALL what they are talking about. who has time to write about this??? not me that’s for sure. time for you all to get a life. why are you all using snapchat anyways? why is the d star a big deal? I tested all these theories because I’m still so hung up on this whole gold star so please comment below ideas of what the gold star means! thanks for all ur help cuties ❤️ stay strong. you’re all wrong. The star means that that person has watched your story over and over again. I think it means that the person on your friends list who has a gold star has recently replayed one of your snap stories. Well people that have a gold star on my snapchat I don’t even snap them at all! So it must be if they replay the story! I think it’s to tell you that someone is interesting… like if someone anyone replays a snap of yours you get a star next your name in everyone’s phone. The gold star is a trophy it’s how many snapchat points you have. If you are on the camera screen and click on the ghost it will take you to your snapchat name and above that there you can see what trophys you have earned..
It’s when you replay somebody’s story over and over again. It does not mean that someone sent you and multiple people the same Snapchat because I have stars next to people I NEVER Snapchat. It means it’s their birthday! I think the gold star emoji is unnecessary and I am considering deleting the app, as well as my friends. I think that it is embarrassing that people know you replay their snaps. It honestly is ridiculous. The gold star is not for replays, i have one next to my name and I haven’t replayed a snapchat in ever. if someone in your snapchat has that star, it means they you sent you a snap that they have also sent to their story. Whoa.. So many people have been saying so many different things I’m just waiting for snapchat to see this and let us know because it obiously doesn’t have anything to do with replaying snaps .. I just send myself a snapchat, opened it and nothing happened. Then i sent another one and replayed it, and got the star. So there you have it. You replayed something. I have never snapped, or screenshotted by friend story but i’d like to know why its a gold star next to their name. And when does it go away? What does it mean? Okay, the funny thing people dont seem to be grasping is – Like writer A said, If MARY sends to BOB and BOB replays the snap, MARY then would have the gold star by her name, cuz woohoo, you’re so nice, they saw you twice. but so YOU as Mary, wouldn’t see a gold star then. If Mary even sees a star via Bob, it actually means someone (which could be Mary herself) has replayed Bob’s snap. So for everyone pointing out “this doesnt explain why people I havent snapped in a year show a star” Yes. Yes it does. You’re associated with the earning of their star then, someone else replayed a snap of theres and thats that. It’s got nothing to do with you having one of your snaps be replayed or something- cuz that doesnt make sense. that logic would mean there would be a star by every person on your list. PLAIN and SIMPLE- if this theory mentioned above is correct^ you wont see a star by your name” unless you have oddly sent a snap to yourself recently and you can see that. Otherwise, only other people can see your star. If you see a star by someones name, either you, or someone else has replayed a snap of theirs. It simply means you replayed your OWN story. If you see someone with a star next to their name, it means they replayed their own snaps. You are all stupid, who sends a snapchat to themselves and replays it?! If you search on google ‘ what do the snapchat emojis mean’ it will tell you that the gold star comes up on people’s names that have replayed your snaps! Not hard to understand!